third instalment of the Pro Wrestling League will be the final league match of this season. 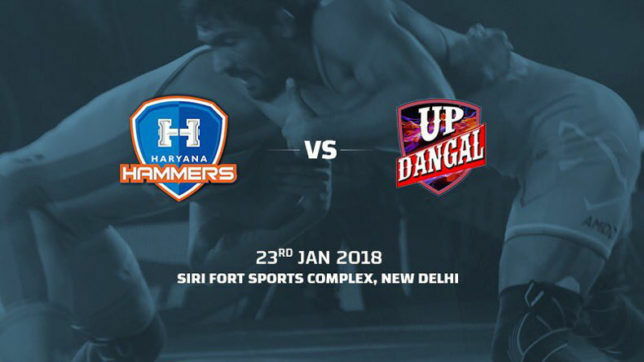 While both Hammers and UP Dangal have already booked their tickets for the semi-finals, the final league match of PWL Season3 still promises to be a slobber knocker of a contest. UP Dangal will be looking wrap league action by outclassing every team of India's flamboyant wrestling competition. The Dangal are spearheaded by Geeta Phogat, Abdurakhmonov Bekzod, Bajrang Punia and Zsanett Nemeth. Indian wrestler VineshPhogat is expected to take on Sun Yanan in Women's 50kgs category. In the women’s 62kg bout, Dangal skipper Geeta Phogat will go one on one against Sarita Mor.